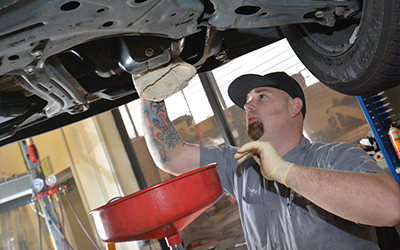 Here at Shannon Family Automotive, your trusted auto repair in Folsom CA, we strive to deliver superior customer service, build long-lasting relationships with our customers, and provide exceptional quality work on every vehicle we touch. While many motorists treat it as a relationship of servitude, owning a car is ideally more of a partnership, with the driver taking the best care possible of his or her ride in exchange for many thousands of miles of reliable transportation. Unfortunately, too many car owners fail to keep up their end of the bargain, delaying regular maintenance, ignoring “check engine” warnings and putting off needed repairs because of financial hardship or just plain laziness. When you fail to maintain your vehicle, the resulting repair costs dwarf the money that could have been budgeted to maintain it in the first place. Today we’re discussing a few things you’re likely neglecting that could be killing your vehicle faster than you realize. 1. You’re putting off recommended / scheduled maintenance for your car. 2. Your “check engine” light is on but you’re ignoring it. 3. You don’t get regular oil changes according to your owner’s manual. 4. You’re not checking the tire pressure. 5. You’re neglecting coolant, brake, transmission and other fluid services. 6. You continue to drive when the vehicle is overheating. 7. You are not changing fuel and air filters. 8. You’ve been having unqualified shops service your vehicle. 9. You are using generic aftermarket parts instead of original equipment manufacturer (OEM)-quality parts. 10. You are trying to service your own high-tech vehicle. We recognize that the customer is the ultimate decision maker, and our job is simply to provide information to enable informed decision. Call today to set up your appointment!